Support diver was Spirakis Michalis (Tec 50 diver). Instructor was Spyros Kollas with another…DEEP Sidemount configuration. 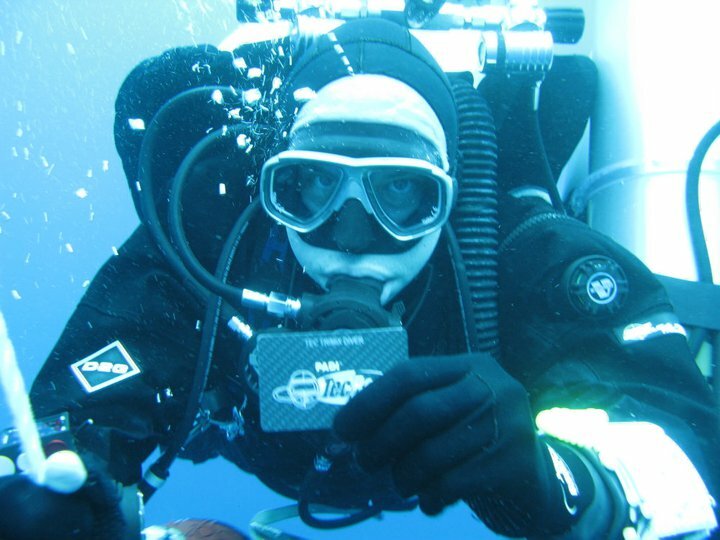 Andreas & Johnny received their certification cards in an in-water decompression party!!! I like the students reactions to the cert card!